I’m sure I butchered that 100%! Well, they supposedly work with the skin’s surface to create a supernatural glow. Basically? Wet/dry. You can wear them dry for a light sheen or with a wet brush to intensify the shine. So, the trend over the past few years has been this whole, like, “OMG! You can see my highlight from space,” and yeah, that’s kind of what I expected from this palette, but to my surprise it’s really… What’s the word? They aren’t toned down or subdued. 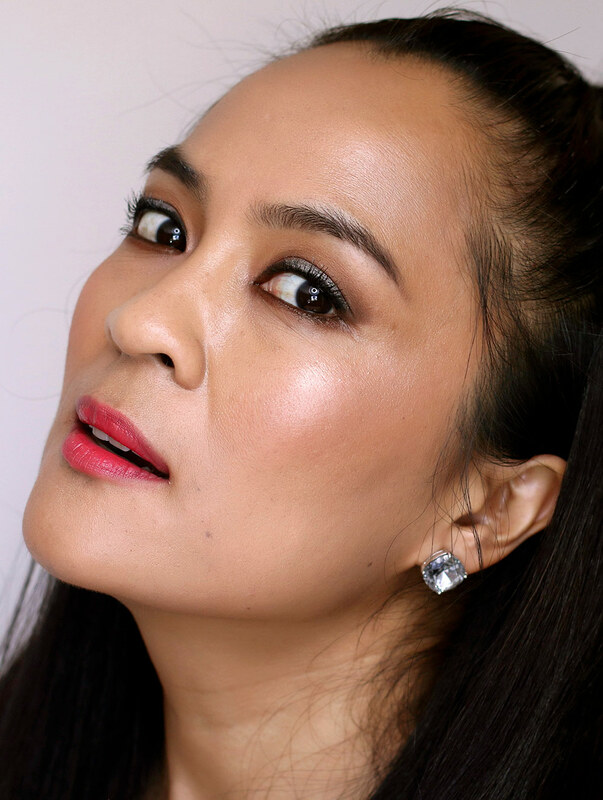 These definitely aren’t as hush-hush as the Hourglass Ambient Highlighters. And that’s what I like about it. The finish is like that whether you wear it wet or dry. Rivage, the lightest shade, is a cool-toned glistening beige pearl; Sale, the middle shade, is a shimmering peach champagne; and Embruns is a rose gold. I’m wearing the lightest shade dry in the center of my lids in these pics (I pressed it on with a fingertip), and I’m also wearing the medium shade and the dark shade mixed together and applied wet to the tops of my cheekbones. As you can see, there’s some glistening, but it’s not, like, OTT glistening. I think it’s lovely. Verdict: Make an excuse — any excuse — to stop by Sephora, because this is great! Did you manage to get out of bed today? Did you live life? 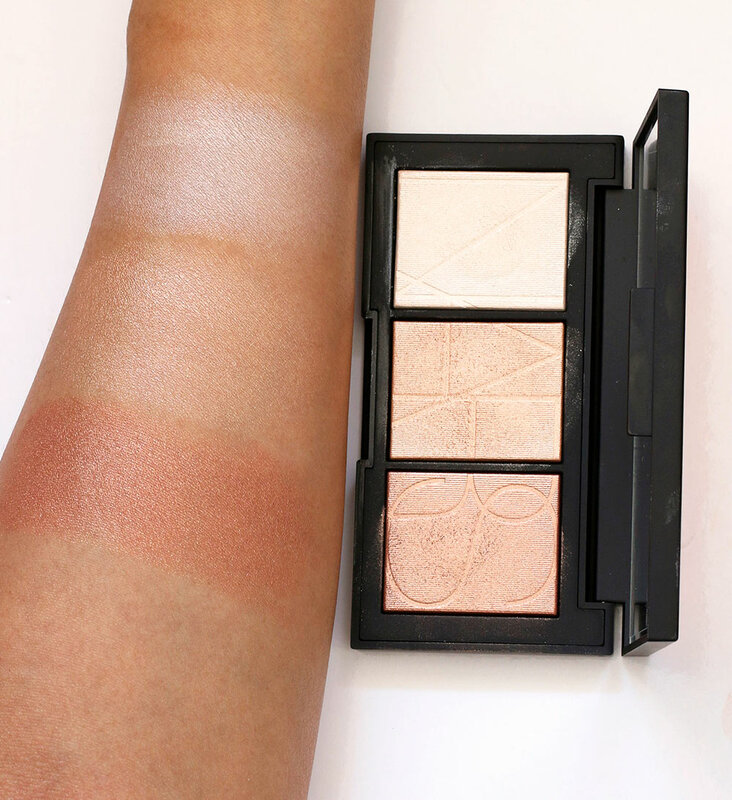 If yes, you should reward yourself by checking out the NARS Banc De Sable Palette, ’cause it’s *really* pretty. Lol @ lighthouse on the tip of the nose. Kinda adorable and apt! 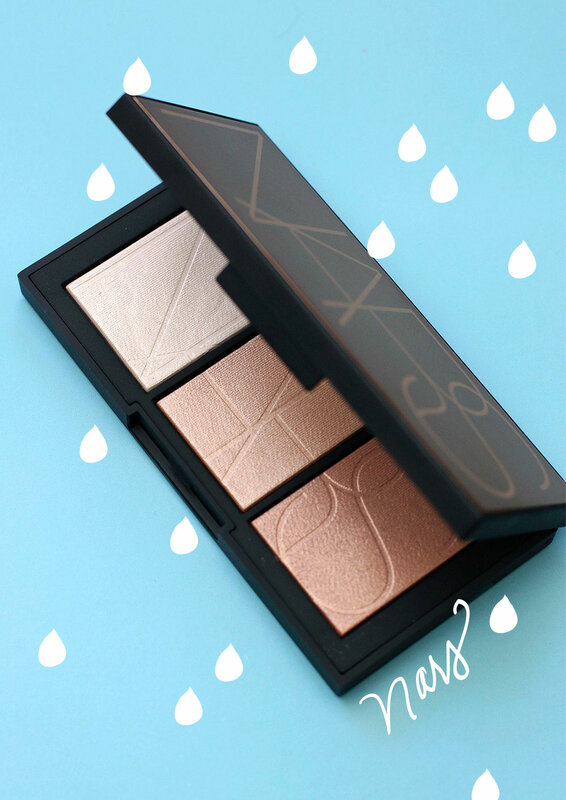 I was NOT going to buy this (I adore NARS), but now I think I might. Thanks, Karen……..
Ok, I’m pretty sure I need this palette!!! Your skin looks gorgeous! Plus I like the name. I don’t get to speak enough French in my normal life! Uh yeahhhhh I’m gonna need this. I’m not gonna buy this. I’m not going to buy any more makeup. I’m gonna save money and only get what I need. I mean really, how much makeup do I need? I’m going to remain strong and not give in to temptation… Oh heck, who am I kidding? Such prettiness! There’s a Sephora between my house and the gym (if I make a huge triangle that is) maybe I’ll pop in on my walk home tomorrow. That made me laugh, I can so relate. LindaLibraLoca recently posted … February Favorites 2017 – Where do we go from here? I am not big on contouring either, but highlighting never really won my heart as well. Saves me quite some money, I guess. Oh, that is lovely. I keep misreading it as Blanco, though. 🙂 Btw, I thought of you yesterday afternoon when Maneater (Hall & Oats) came on the radio. I thought “I wonder if Karen is working out to this”. Which I know is not how the conversation went but I’ll forever associate that song with your workouts. HAHA! They look so good on your skin! I’m doomed! I do not need another highlighter, but I LOVE Nars so I know I will cave! Is this available yet? Yes, it’s available now at Sephora and sephora.com. Haha! I love you comment about contouring (and I agree). This looks so lovely on you!